Entertaining Book Reviews. Here's where to access FabulousFoods.com's archives of our favorite picks of books about entertaining, most with free sample recipes. 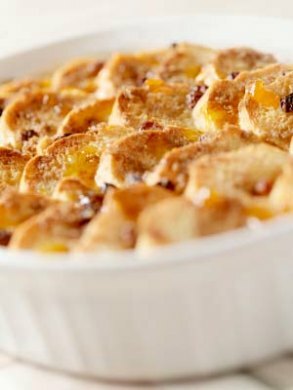 This easy seafood bread pudding recipe is a quick and easy version of a fancy crab souffle. Book review of Party Confidential by celebrity party planners Lara Shriftman and Elizabeth Harrison. Book review of The Potluck Cookbook -- Classic Recipes for Any Occasion, plus free sample recipes. Book review of The Gourmet Potluck plus free sample show stopping potluck recipes.